Give back this Christmas with these ethically made and eco-saving gifts. One of the best things about Christmas is seeing the joyous look on your loved ones' faces when they open up the presents you've specially chosen for them. So why not amplify that wonderful feeling by not only giving back to those close to you, but to the planet as a whole, too? 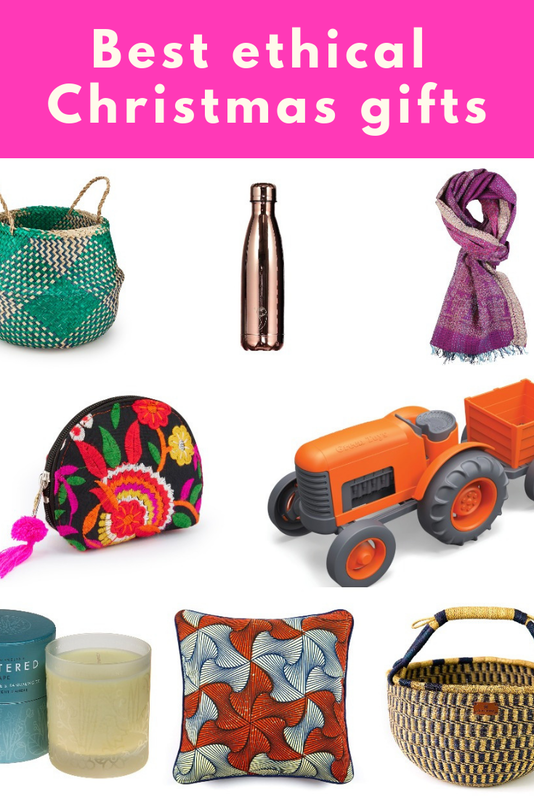 All the great gifts in this selection are sure to please your ethically conscious friends and family members, whilst also leaving you satisfied in the knowledge that you're contributing positively to the world around you. 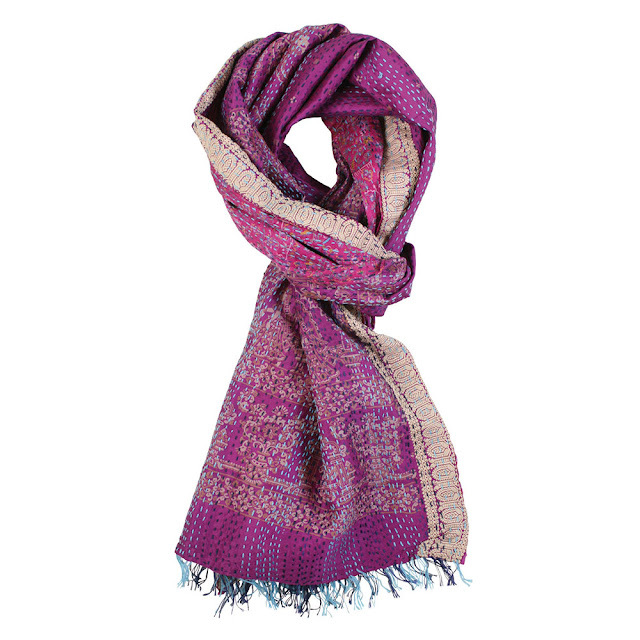 Available in shades of purple and pink or oranges and yellows, these vibrant 2 metre scarves are made from recycled saris. 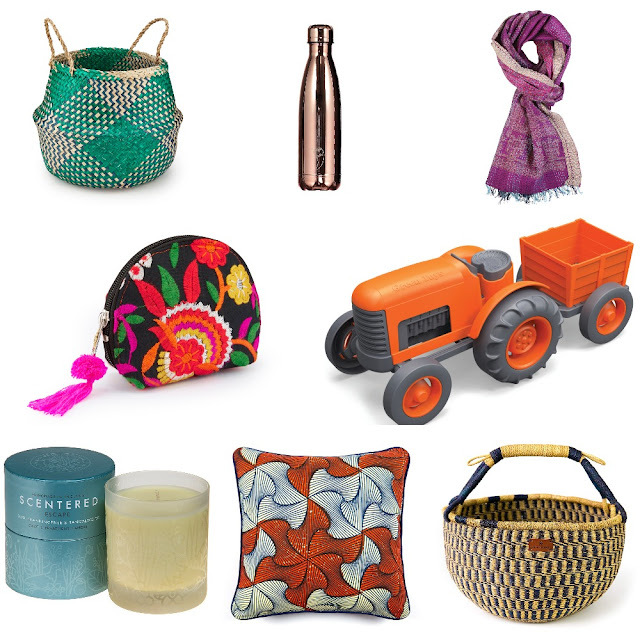 Fashioned by artisans in Calcutta, India, each one is handmade and beautifully unique. The workers are part of a Fair Trade producer group who aim to develop sustainably and support their artisans. 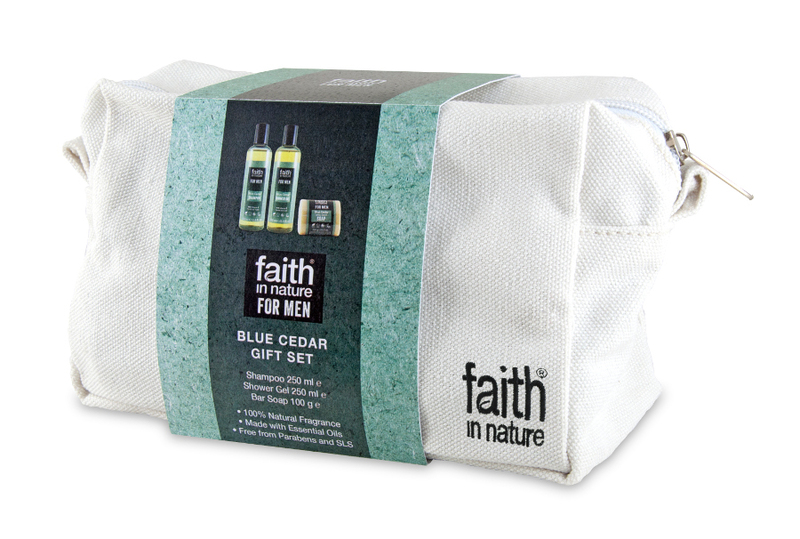 This blue cedar men’s wash bag gift set from Faith in Nature contains shampoo, shower gel and handmade soap. The products are made from all natural ingredients and fragranced with essential oils without parabens or SLS. 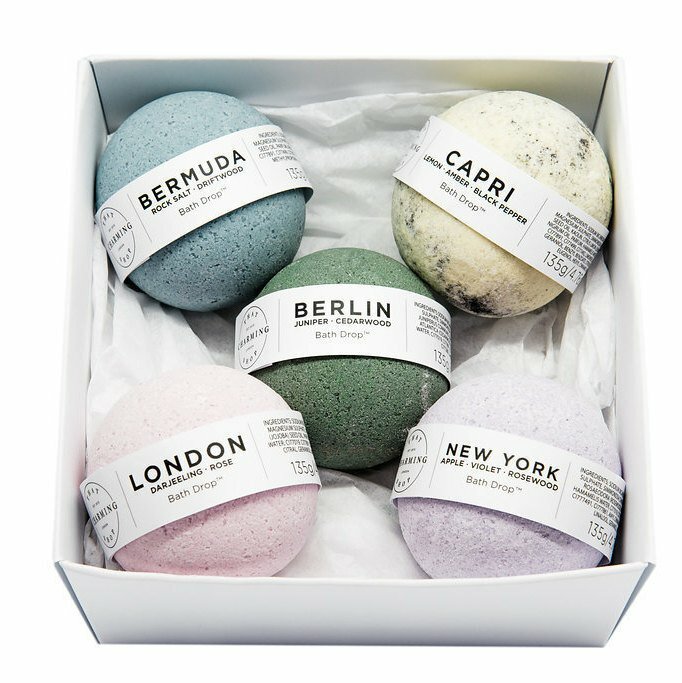 The gift set is suitable for vegans and certified cruelty free. 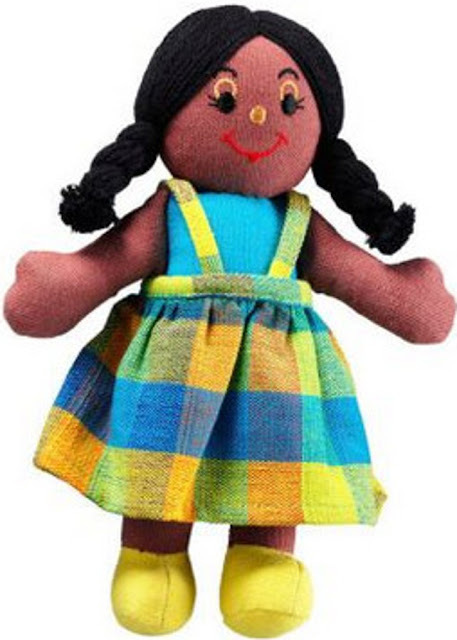 Lanka Kade rag dolls are fair trade and suitable for children from birth. Handmade in Sri Lanka using soft hand-loomed cotton. This educational yet fun 22cm doll is ideal for role play, and is designed to reflect the multi-cultural society we live in. Clothes are removable. 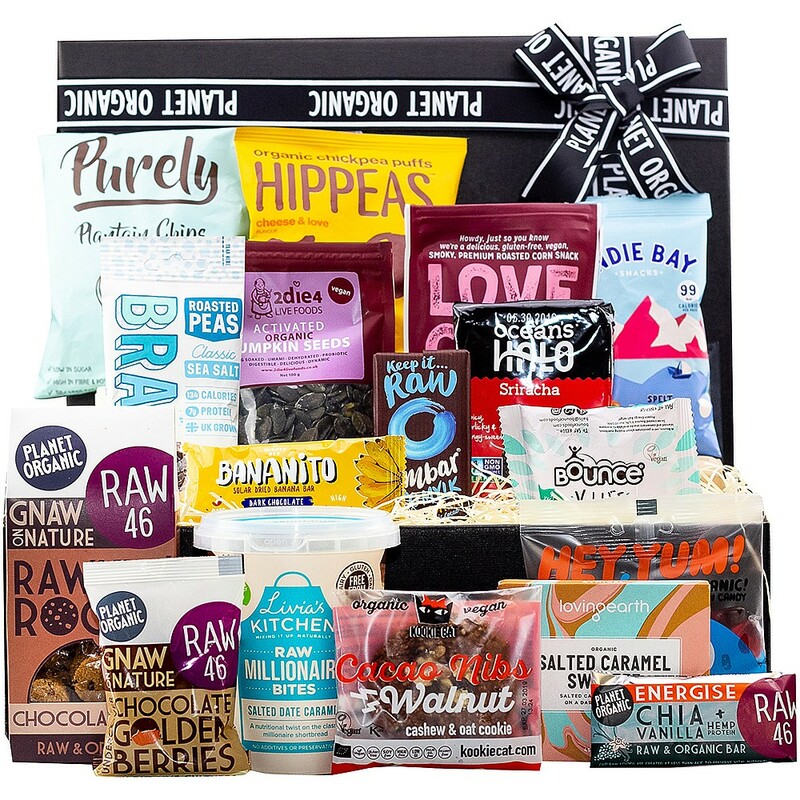 This fantastic Vegan Snack Attack hamper contains everything a vegan could ask for! The answer to all their snacking needs; indulge and eat healthy with these Vegan treats packed with flavour and bio-available nutrients! 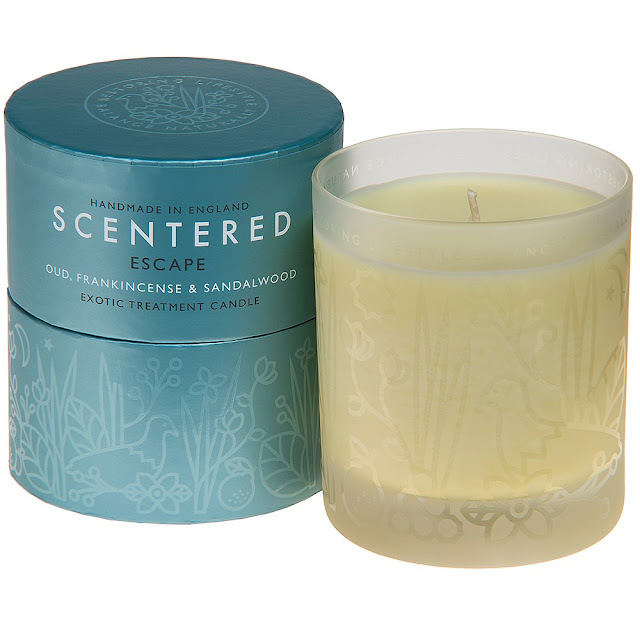 The Scentered Escape Home Candle has a luxurious and exotic scent, inspired by the Orient. A rich, woody base of Oud, Sandalwood and Cedarwood; with warming Frankincense, Amber and Vanilla; and sweet, spicy Patchouli, is gently lifted by the exotic Rose floral heart, and spicy smoky top notes of Birch, Clove and Cinnamon. This amazing gadget is an outdoor enthusiast's dream, combining a lantern, radio, charger, powerbank and alarm clock in one. The PowerPlus Falcon 5 in 1 harnesses the power of the sun with its integrated solar panels, and can also be charged by winding the dynamo or via DC-in before you travel. The eco-friendly design and use of renewable energy makes this the perfect gift for any eco warrior or regular camper! 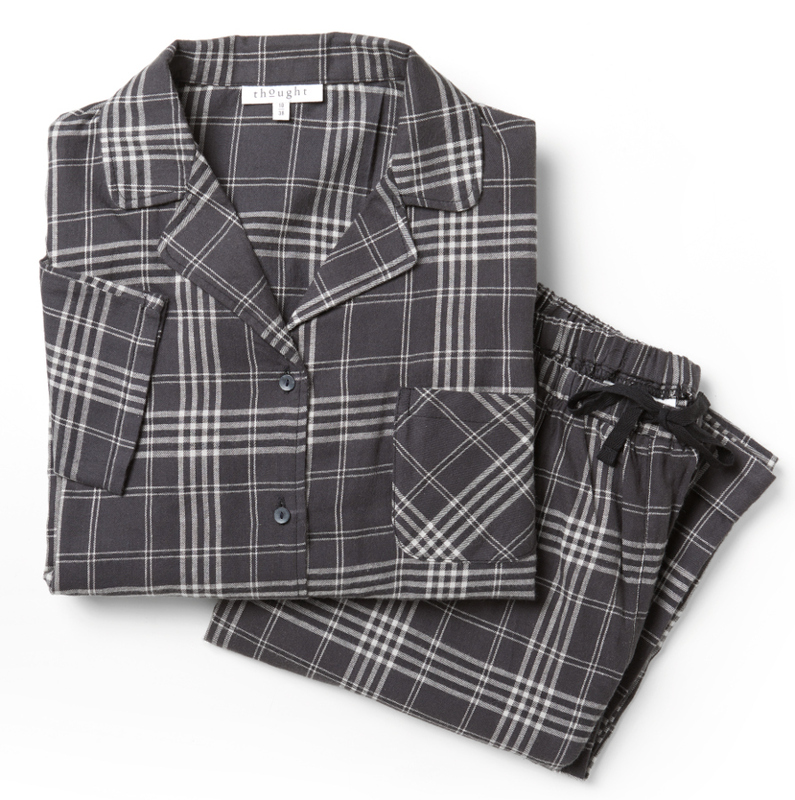 These classic organic cotton flannel check pyjamas have a relaxed fit for comfort and a drawstring waist for the perfect fit. Made from organic cotton, the manufacturers adhere to fair trade standards and social standards to ensure fair production processes, including fair wages for employees and good working conditions. 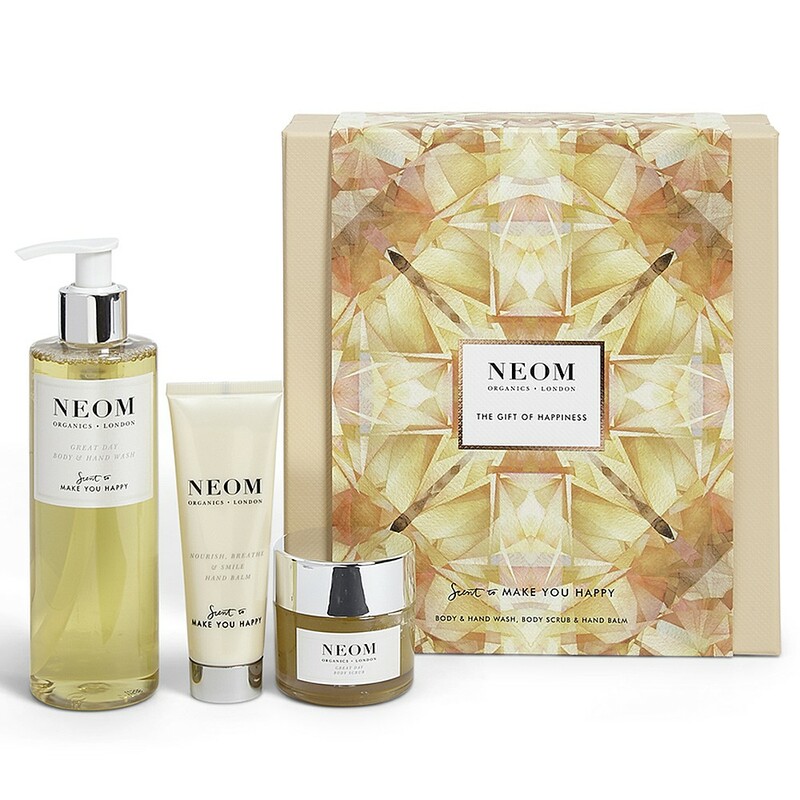 The Neom Gift Of Happiness is home to three amazing products which work together to make the lucky recipient feel uplifted and in a better mood immediately. With an expertly blended Great Day fragrance based on wild mint and mandarin, plus 6 other essential oils, Neom's Scent To Make You Happy helps to balance your emotions to create a positive state of mind. The Gift of Happiness contains Great Day Body & Hand Wash, Nourish, Breathe & Smile Hand Balm and Great Day Body Scrub. Gumleaf Essentials jar candles are hand-poured, made with natural renewable soy and coconut wax, scented with only pure essential oils, and have lead-free 100% cotton wicks. 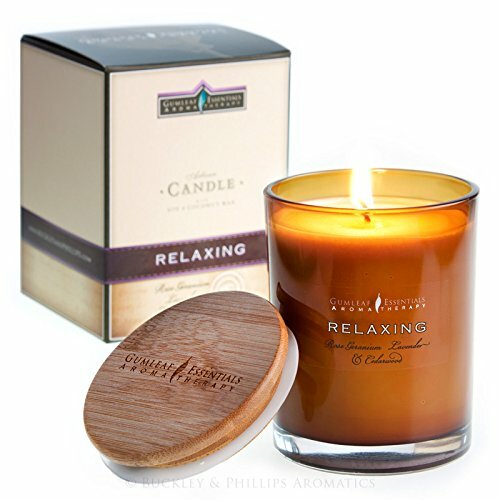 They arrive beautifully boxed with an engraved bamboo lid and are available in 5 unique aromatherapy blends. Scented with only the finest quality pure essential oils that are uniquely fresh and uplifting, these candles are perfect for enhancing the mood and creating a warm ambience. Relaxing contains a blend of oils specially selected to have a calming effect on the mind and body to help balance mood swings and relieve anxiety. 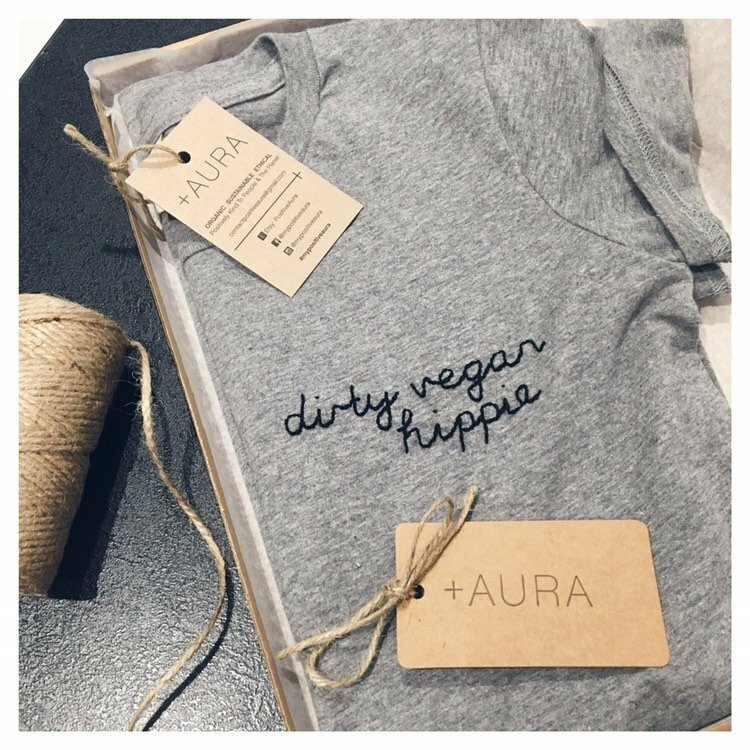 This unisex t-shirt is made from biodegradable, sustainable organic cotton and can be adorned with a hand-sewn slogan. Positivi-tees aim to be positive and kind, but with humour and a vegan, ethical message. Made from soft organic cotton, what message would you add? These gorgeous market baskets are perfect for a picnic, shopping at the farmers market, or storing crafts supplies or toys around the home. Made without the traditional leather handle, these baskets are 100% natural straw and cruelty-free (the tags are faux leather). Hand-woven with love by a female weaving cooperative in Bolgatanga, Northern Ghana every purchase provides meaningful income to the makers. The Green Toys Recycled Orange Tractor is perfect for vehicle or farm-mad kids. 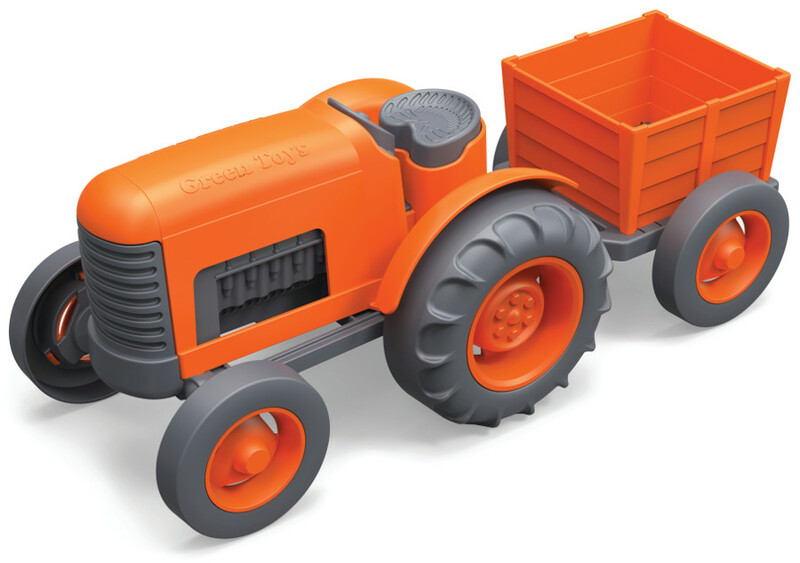 Made from safe and non-toxic materials without BPA, PVC, phthalates or external coatings, this bright orange toy tractor will be a huge hit with little ones. Manufactured in the USA from 100% recycled plastic, it is easy to clean and even dishwasher safe. 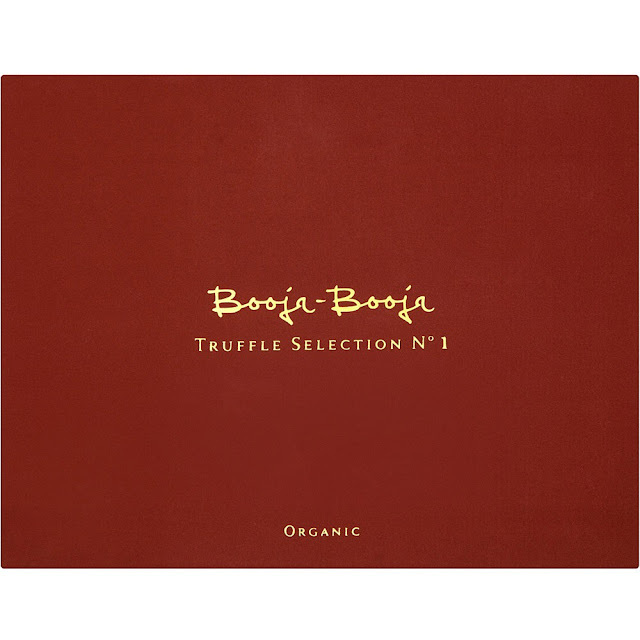 Its packaging is made from recycled and recyclable materials and printed with soy inks. Suitable from age 12 months+. 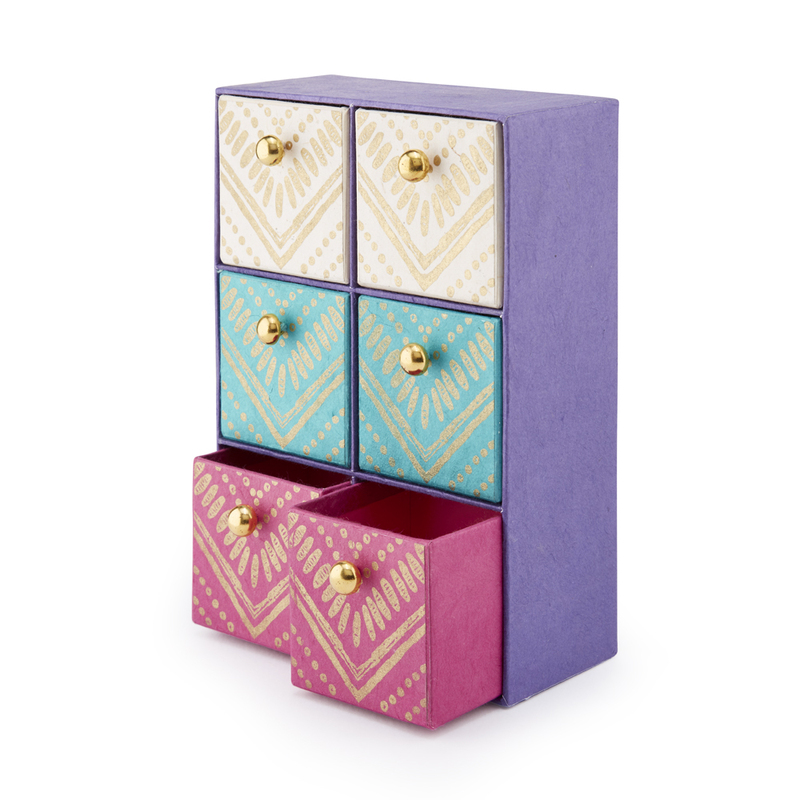 These pretty drawers are handmade using recycled cotton paper, making them both practical and beautiful. Perfect for a grown up dressing table or a child's collection of treasures, they will delight people of all ages on Christmas Day. Nepalese company Get Paper Industries (GPI) was set up in 1985, and has since changed the lives of hundreds of local people. More than 500 people have secured creative employment, and GPI even offers 1000 scholarships a year to help girls from poor communities to attend school. 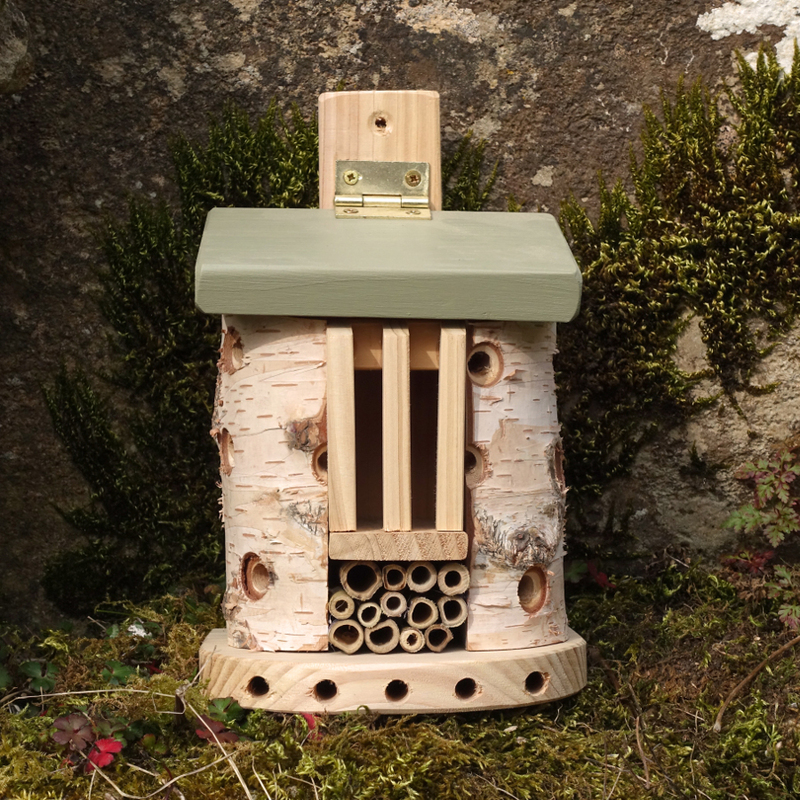 We may not all have space for a large bug hotel, but this Friendly Bug Barn is the perfect size for a small garden, balcony or even a large window sill. Made from FSC timber from sustainable sources, the bug barn has lots of different textures, hollows and crevices that will attract all kinds of insects such as ladybirds, lacewings, solitary bees and even possibly some over-wintering butterflies. The lid opens to reveal the inner bug barn where they can add any extra materials to make the visitors more comfortable such as straw, dried flower stems or bark. Ideal for adults and children. Inspired by the traditional hip flask, the Hip Bottle is a practical, reusable way to stay hydrated on the go. The bottle is lightweight and has a flat shaped that slips easily into bags and handbags. The twist cap is secure and easy to use, with a strap to prevent it from falling off. 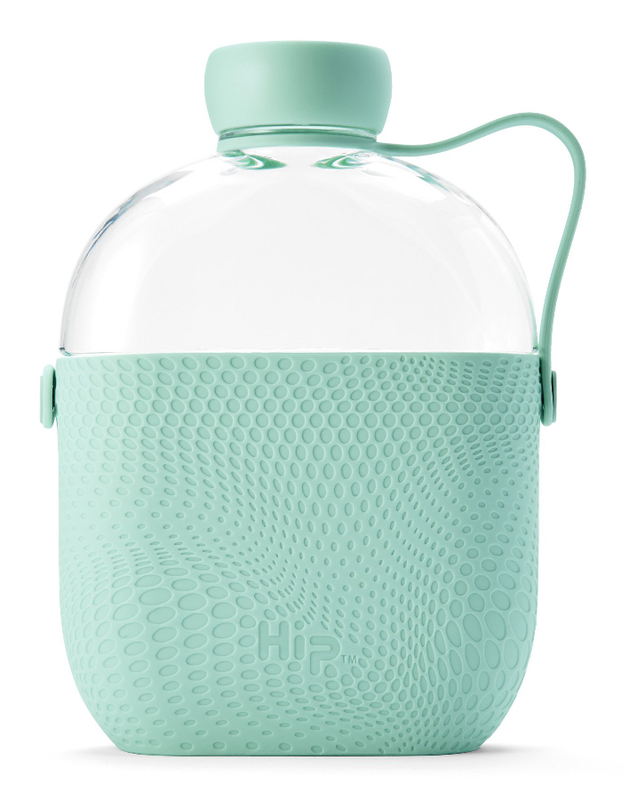 The bottle is made from Tritan which is BPA-free and will last and last. Hip Bottle works in collaboration with Water For People. Every Hip Bottle sold helps provide two days’ worth of clean, healthy drinking water for someone in need. Also available in blue and pink. 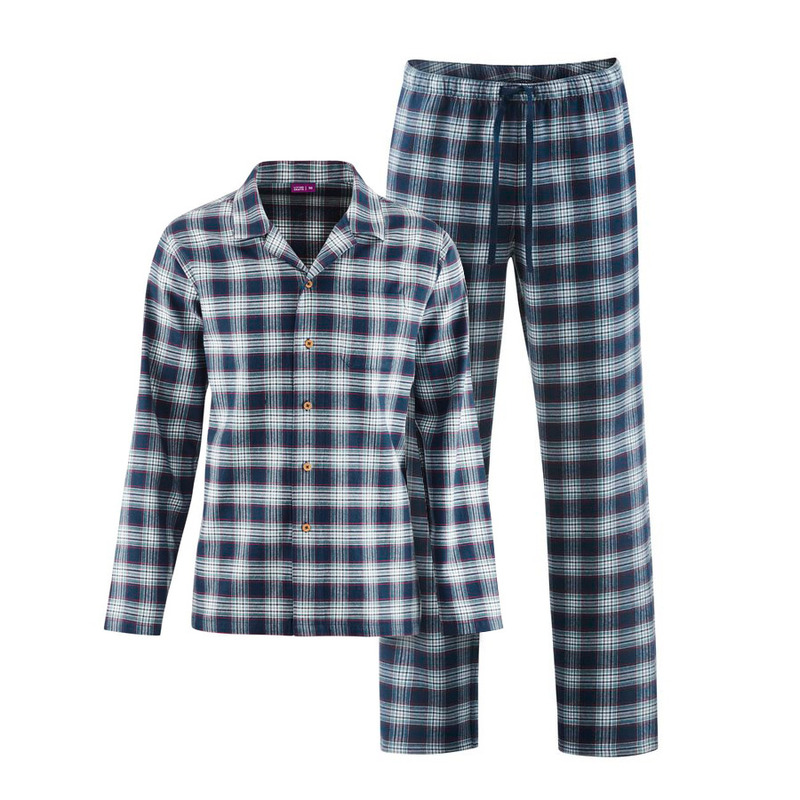 The Chena Pyjamas from Thought will help you have the perfect night’s sleep. Ethically made they are crafted from beautifully soft organic cotton which feels great against your skin, helping you stay comfy and cosy all night. Thought work closely with their factories in China to ensure products are made to the highest ethical standards, including fair working conditions, azo-free dyes, and strict environmental policies. 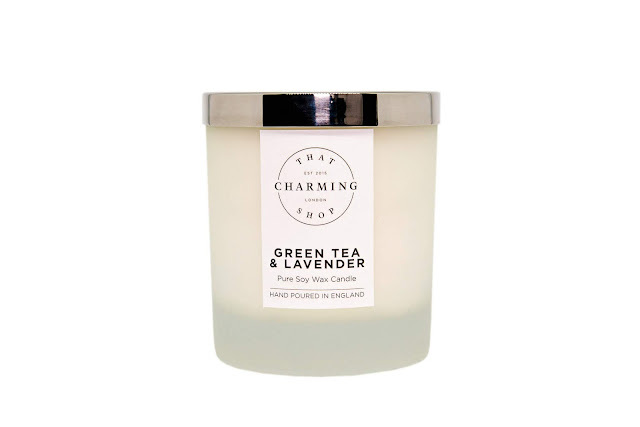 The Green Tea and Lavender scented soy candle from That Charming Shop makes the perfect candle gift. Transform the atmosphere with a blend of herbal green tea and fresh lavender to help you breathe in pure relaxation. Made from long burning, environmentally friendly pure soy wax subtly fragranced with pure essential oils, this relaxing, natural candle is calming and hypnotic. Hand poured in England into beautiful frosted glass jars, these candles are vegan, cruelty-free, and ethically sourced. Lola & Mawu's African Wax Cushion designs will brighten up your home. This fun windmill design has contrasting piping and a plump vegan hypoallergenic hollowfibre insert. 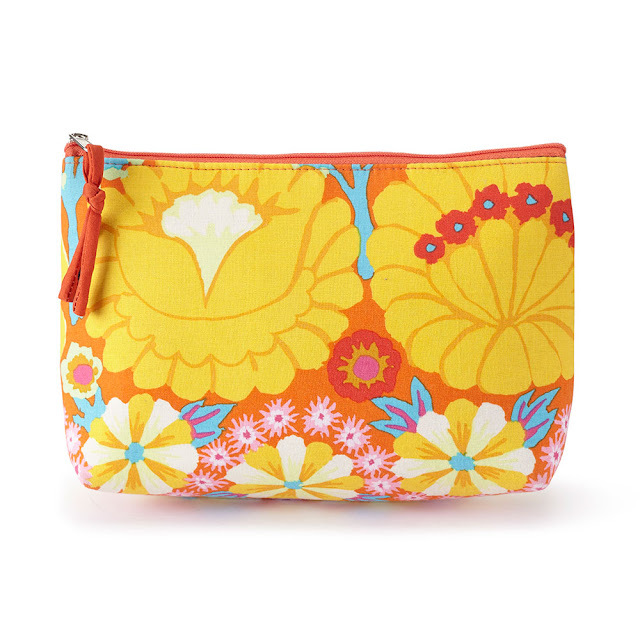 Made from 100% cotton these covers are ethically made in Ghana by an all-female sewing cooperative. 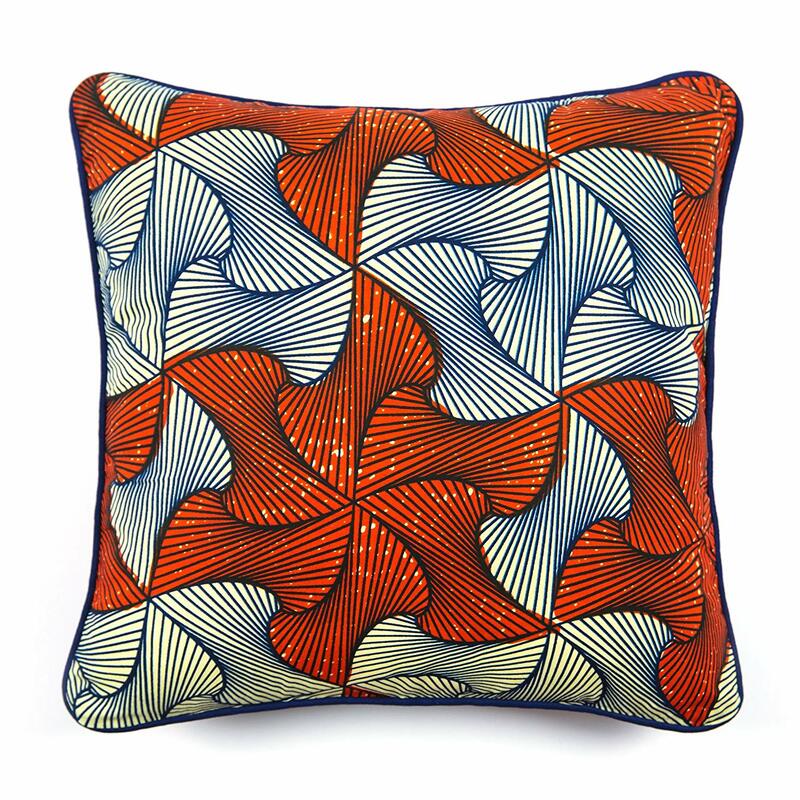 Each piece is hand-made with unique variants to the pattern. 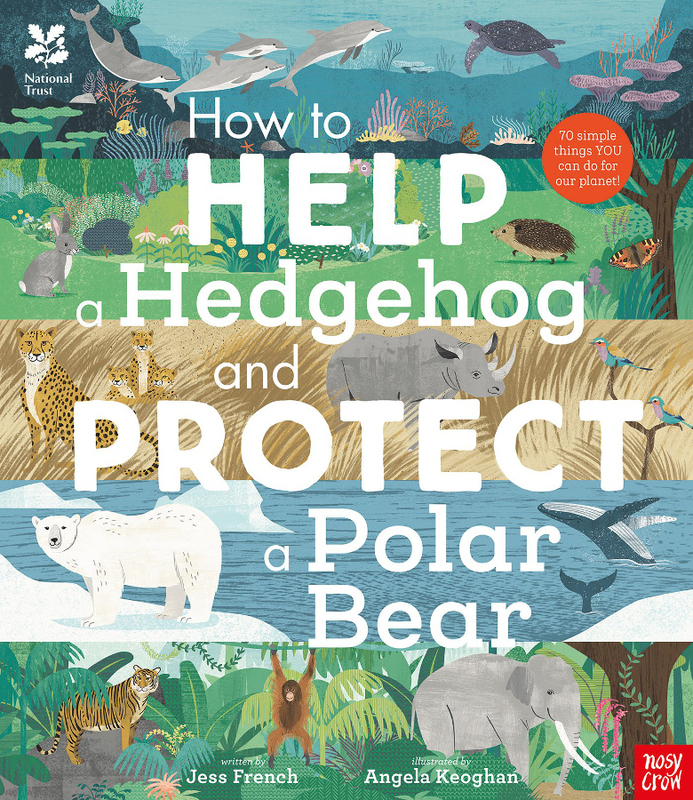 Written with the support of the National Trust, How to Help a Hedgehog and Protect a Polar Bear Hardback Book is a beautifully illustrated and informative book perfect for children aged 5+. The perfect way to find out how to help hedgehogs in your own back garden or spread the word about endangered animals further from home. Printed on FSC paper, children will discover all the little things we can do to protect the environment. The book covers thirteen different habitats: garden, hedgerow, heathland, woodland, highlands, wetland, coastline, freshwater, ocean, savannah, jungle and mountain. 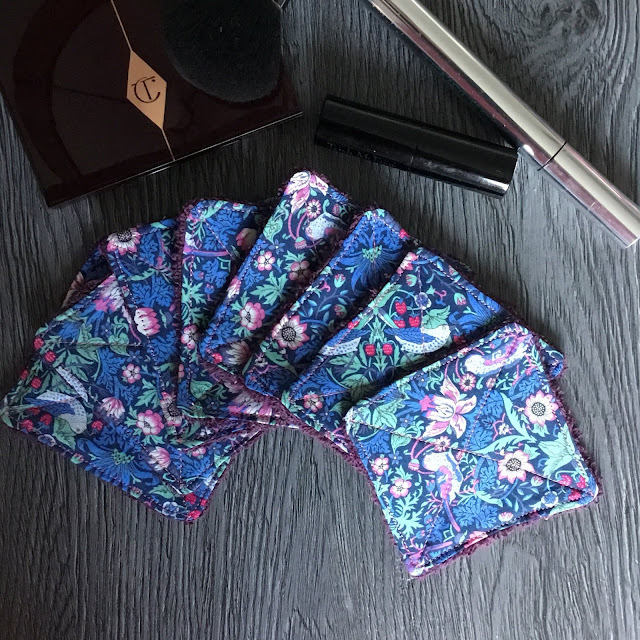 These gorgeous Liberty tana lawn and soft towelling reusable makeup removal/ cleansing pads are eco friendly and reusable. Made from exquisite Liberty fabrics they look great in your bathroom or on your dressing table, as well as being a fantastic alternative for someone who wants to reduce waste. 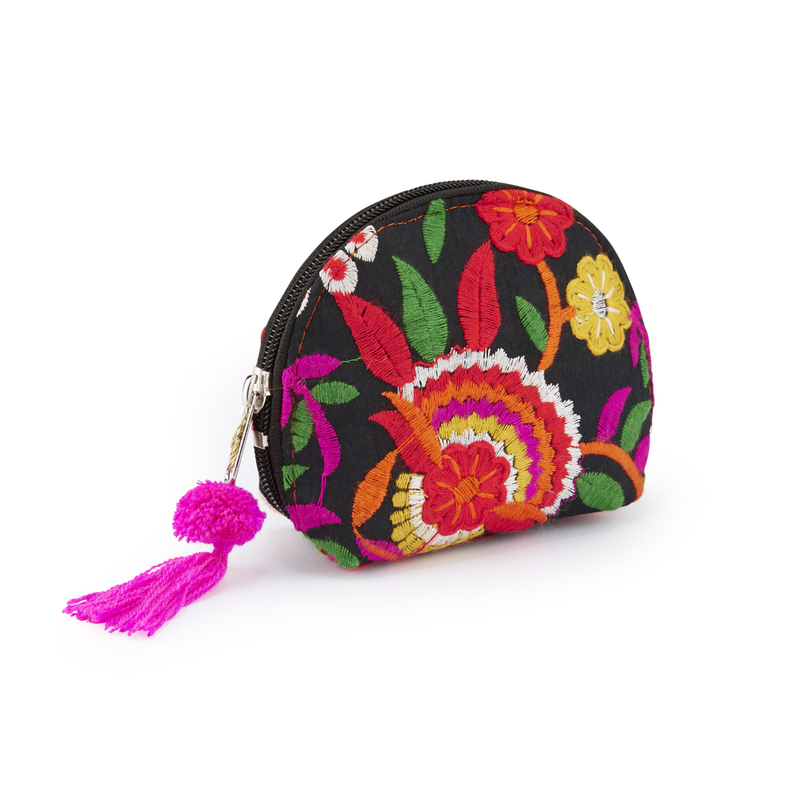 This pretty handmade embroidered purse is handmade in India using a vibrant embrroidered fabric with contrasting piping and tassel. 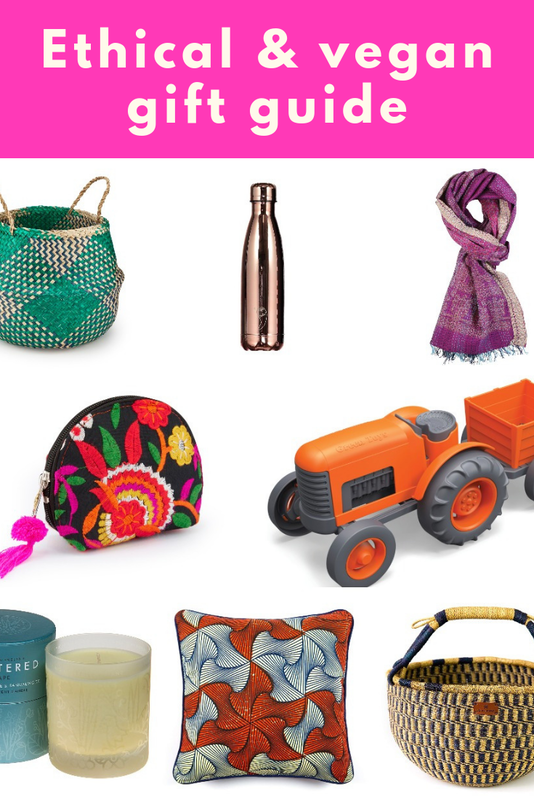 Aspiration, in Delhi, are a fair trade group who employ artistans to hand make beautiful products. They organise groups of semi skilled and skilled artisans to improve welfare and help raise them out of poverty to being able to stand on their own. This gorgeous handmade embroidered purse is part of that. 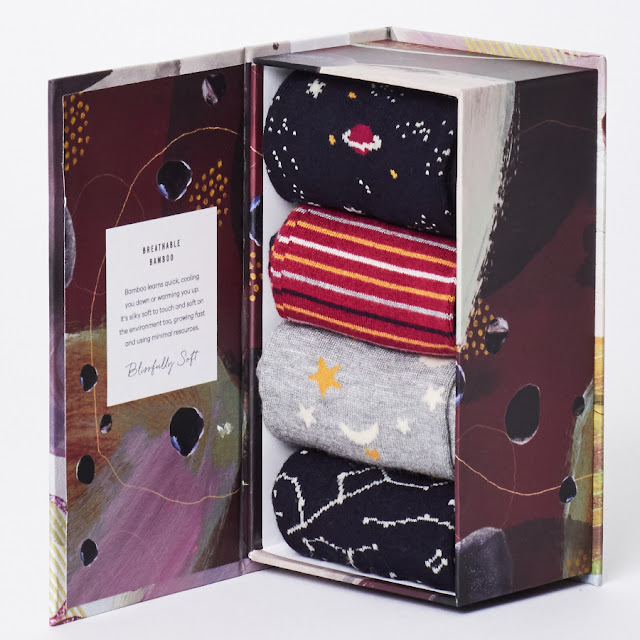 This Night Sky Bamboo Socks Gift Box is a fun four pack of soft, sustainable bamboo socks from Thought, featuring night sky inspired patterns. The socks are designed to keep feet nice and cosy, and are presented in a beautifully decorated reusable and recyclable book-style gift box. Bamboo fabric is naturally breathable with anti-bacterial and anti-fungal properties, making it the perfect material for socks, as well as being sustainable and earth friendly. This striking natural sea grass rice basket is woven with a beautiful teal pattern and is perfect for storage or can even be used to hide a plant pot. 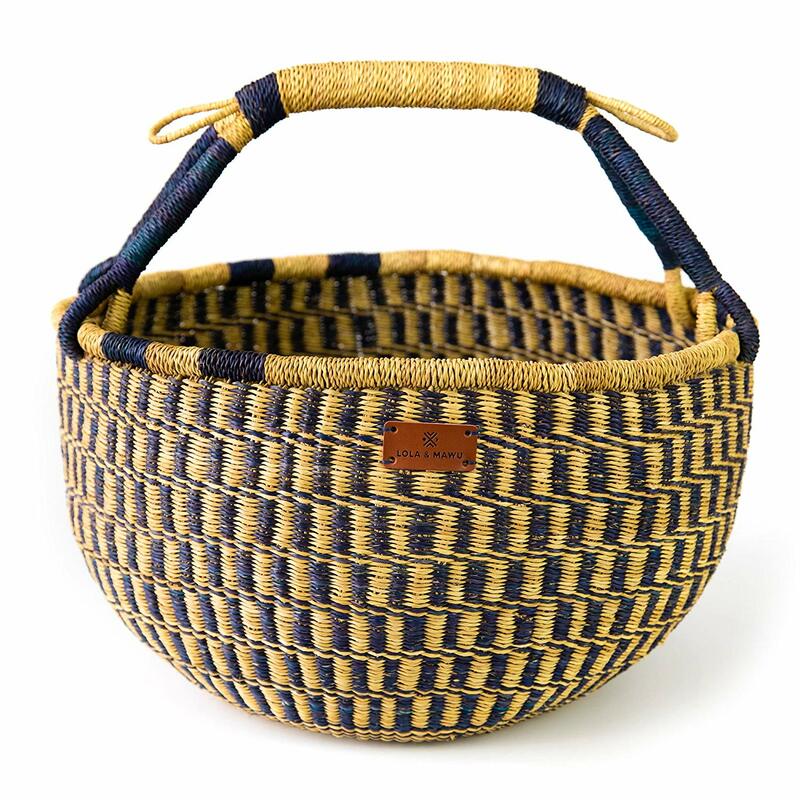 This multi-purpose basket can be used with the handles up, or folded down inside the basket. 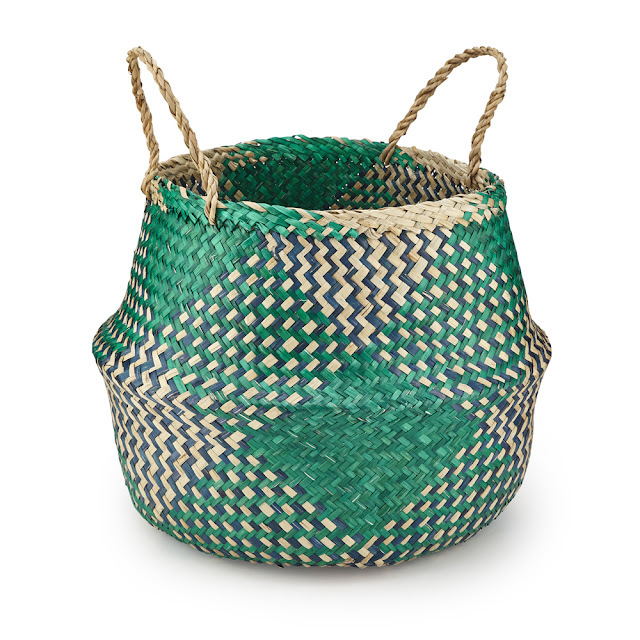 Each basket is carefully handmade by artisans at Mai Handicrafts in Vietnam, making them beautifully unique. Mai Handicrafts is an income generating and educational project for disadvantaged families and their members, particularly women and children. They help to find work for neglected families by selling Vietnamese handicraft products to local and export markets. The black and white pattern of this fair trade Octopus Rattle makes it perfect for newborns, who will love the crochet texture and the eye-catching high contrast pattern. 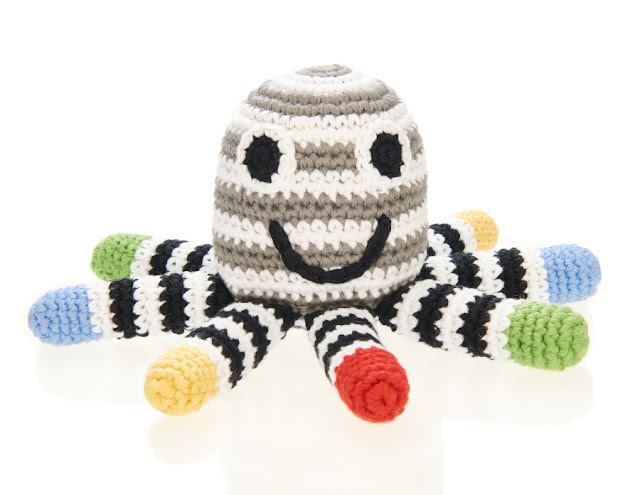 Perfect for stimulating hand-eye co-ordination this 100% cotton rattle is handmade in Bangladesh. Ethically sourced from local tradespeople in India, this pretty wind chime is made from recycled beads and iron. 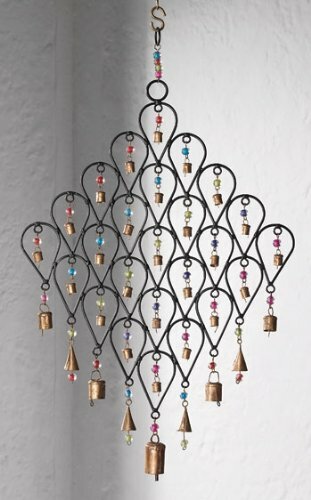 This beautifully crafted, large, diamond-shaped wind chime has been intricately made by hand, with stunning small iron bells and pretty coloured glass beads. It makes the loveliest sounds in the breeze and has been made to perfection with love and skill. The fun Petit Collage Bamboo dinner set is made from eco-friendly and sustainable bamboo and features a fun and educational world map print, showing the animals found in each country. 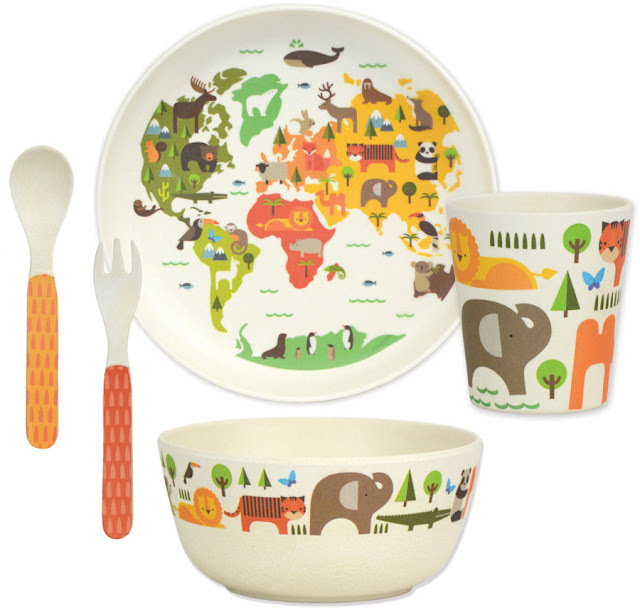 Perfect for little fingers to use, and to learn about the origins of different animals. 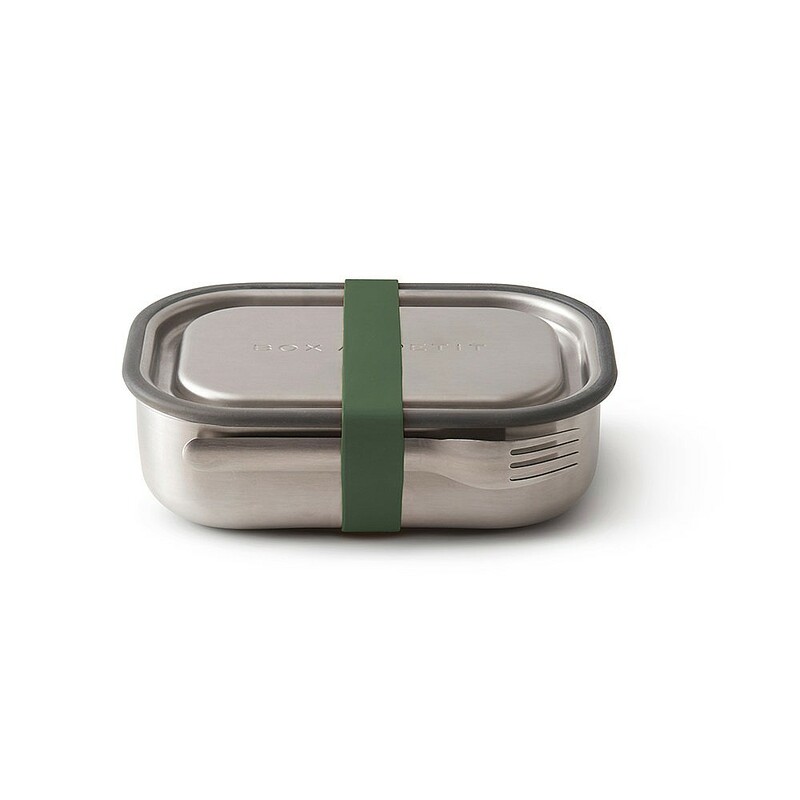 The set includes a plate, bowl, cup, fork and spoon and is suitable for hot and cold foods. Bamboo is a lightweight material which is free from BPA, PVC, formaldehyde and phthalates and is also biodegradable. Suitable from age 3+. This striking cotton wash bag is handmade in Vietnam by a Fair Trade group of artisans. Made in a Kaffe Fasset textile with a polyester lining, internal compartment and zip closure, this colourful bag is perfect for travellers or those who love a weekend away, a lovely stocking filler. 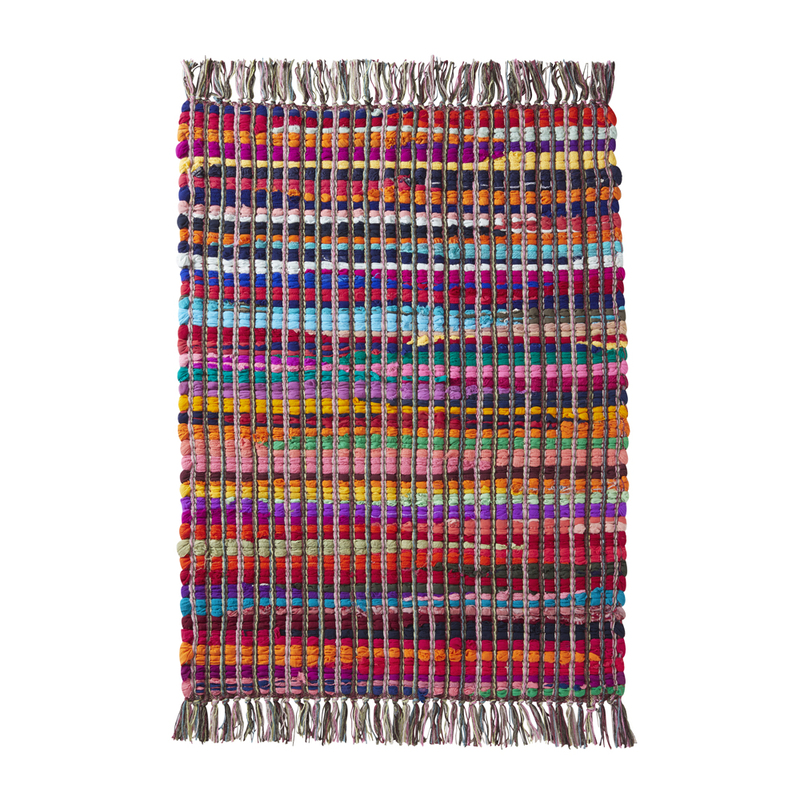 This vibrant rug is handmade in India from recycled saris, making each one unique. Made by artisans at fair trade Asha Handicrafts in Mumbai, an organisation ensuring artisans receive fair trade pay for their work. They promote social and economic welfare of their artisans, and use profits to social and community development. 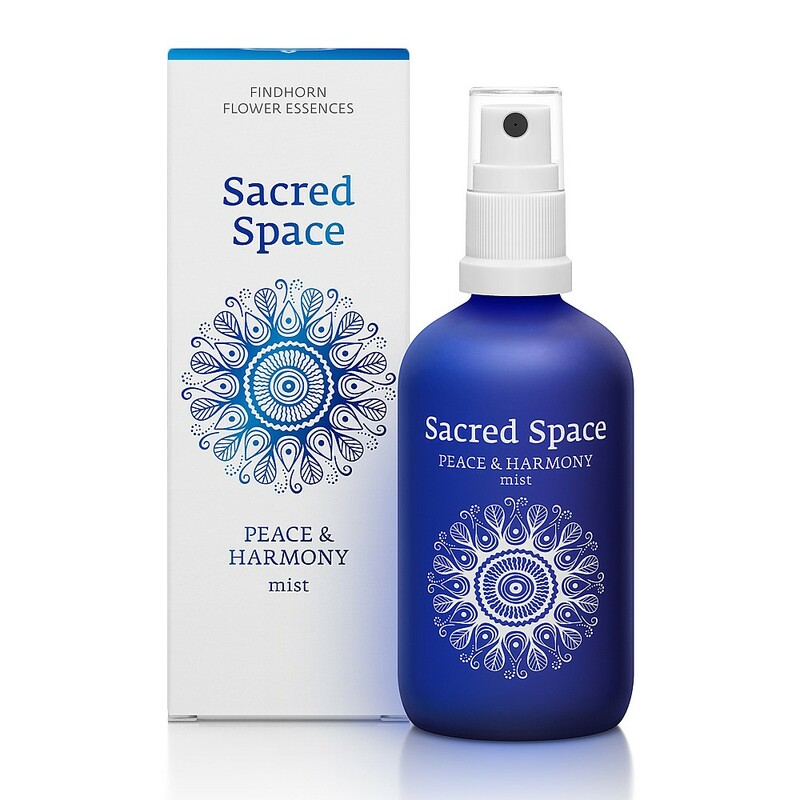 Findhorn Flower Essences Sacred Space Mists help to purify and clear your physical space to create a more relaxing atmosphere. Made with a unique blend of natural and organic essential oils with flower, gem and elemental essences. This synergistic combination contributes to a positive state of mind and sense of wellbeing. Bring Peace & Harmony to someone's Christmas. The Corkor Vegan Wallet is made from sustainable cork. 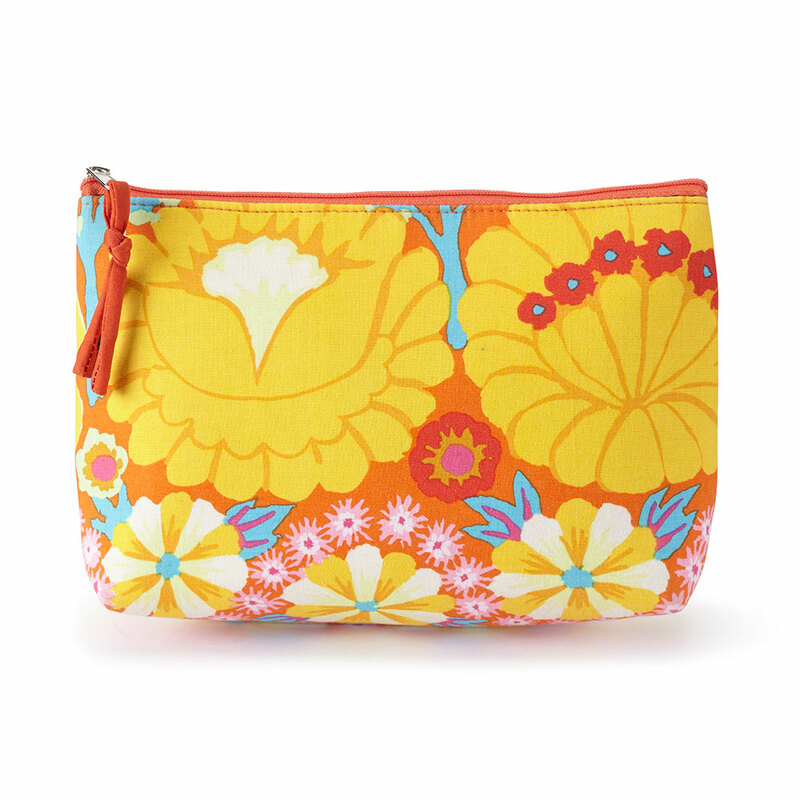 Perfect for anyone who loves trendy accessories but is also a friend of the environment. This durable wallet will last for years. 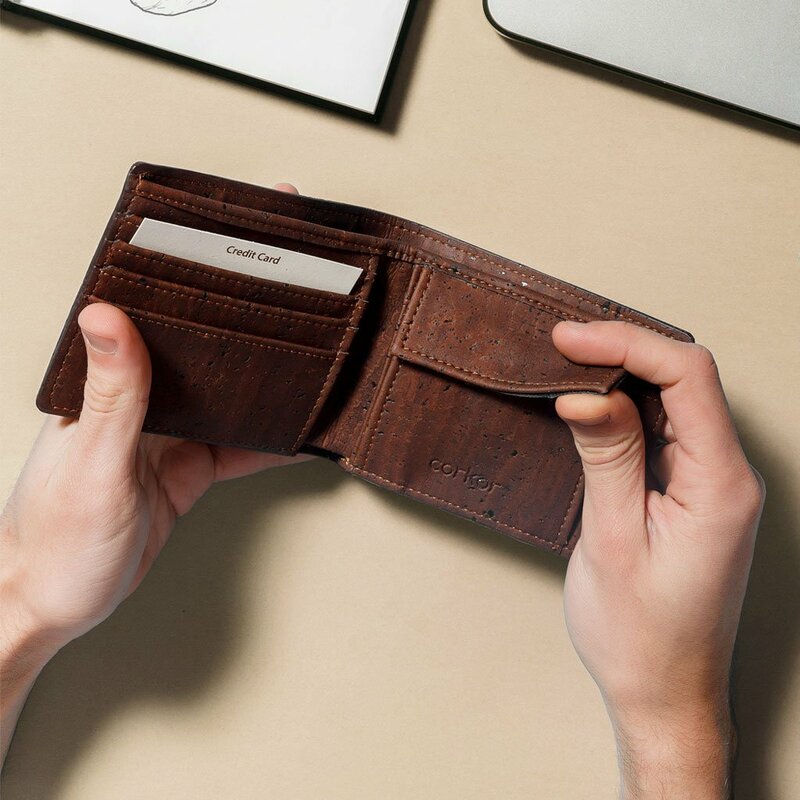 It has four Card Slots, two Top compartments for notes and bills, a Coin pocket with snap closure, and two hidden pockets behind the card slots. Available in 6 colors. 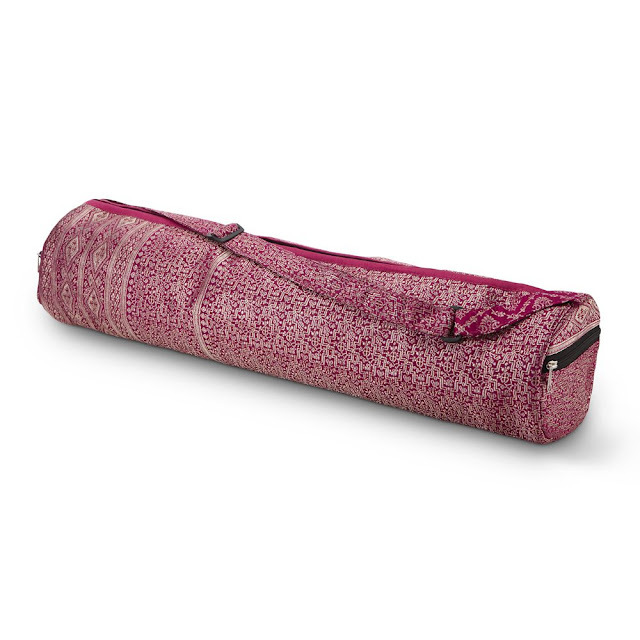 Handmade by artisans using recycled pink saris, each of these yoga mat bags is beautifully unique, and perfect for holding any standard yoga mat. Made by Aspiration group in Delhi, who assist all their artisans financially by giving them long term interest free personal loans for their development, raw materials and education. A pack of three striped socks made from sustainable materials, naturally breathable with anti-fungal and anti-bacterial properties they will keep your feet cosy and comfy throughout the day. The socks are ethically made with environmentally friendly fabrics and processes. Thought work closely with their factories in China to ensure products are made to the highest ethical standards and that fair trade conditions are being met. The Chilly’s Bottle is a revolutionary reusable bottle that can keep your water ice cold for up to 24 hours. Made using advanced double-wall vacuum technology and high grade stainless steel, Chilly's Bottles are BPA free and leak proof. 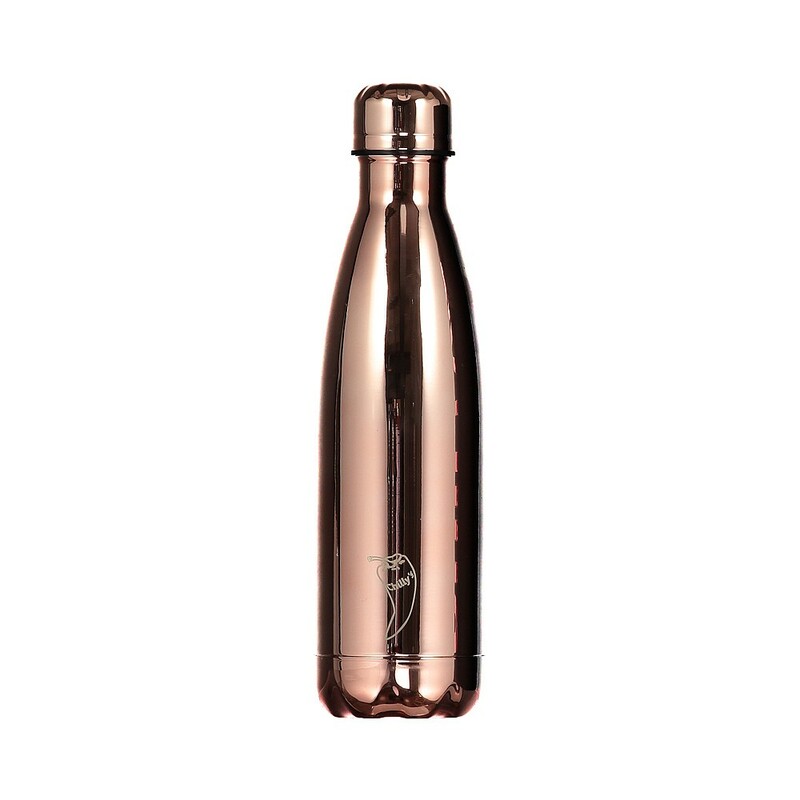 Available in a variety of designs but this Rose Gold one is our favourite! Thank you for including a list suitable for vegans. One of the children has recently become a vegan so thinking of suitable gifts can be quite tricky.